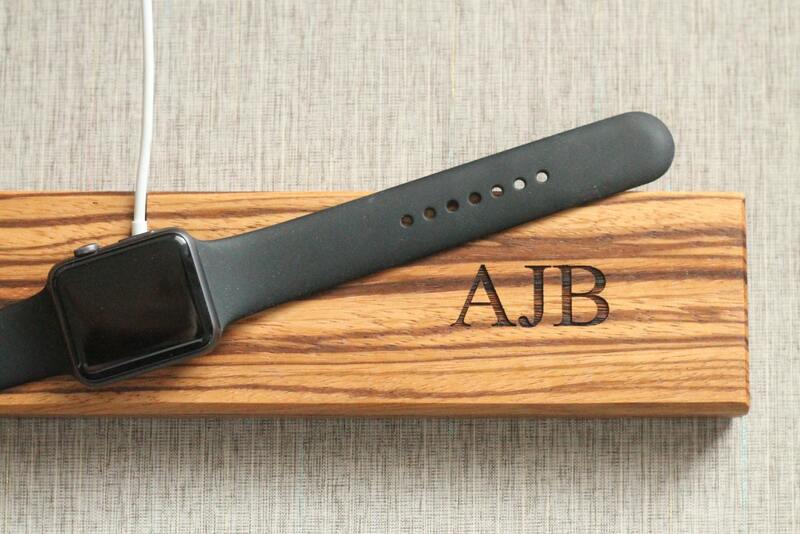 Need a beautiful, unique way to charge your new Apple Watch? 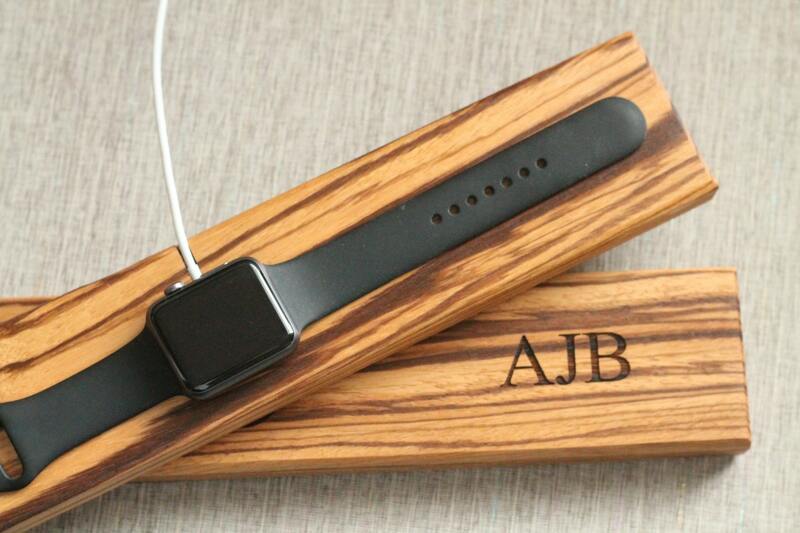 These Apple Watch chargers are made from reclaimed zebra wood, hand finished, and ready to charge your beloved accessory! Optional laser engraving available- make it 100% your own! Block initials shown, but options of script, logos, and pictures available. 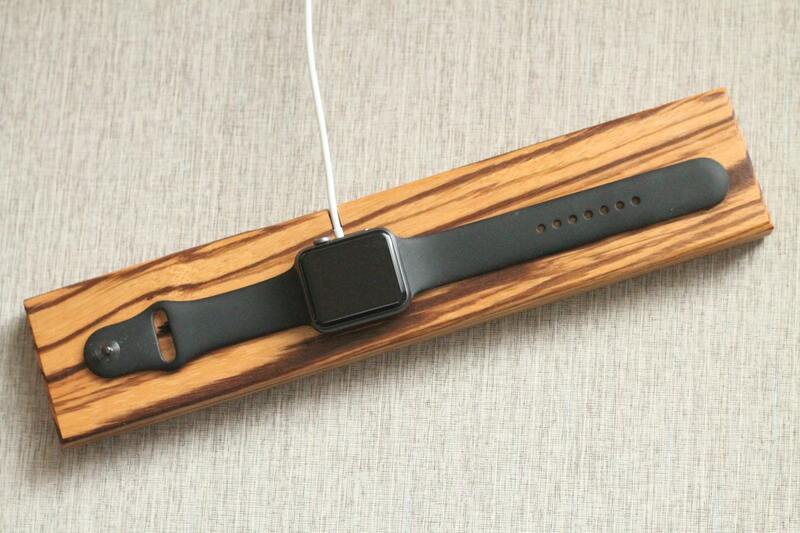 The piece measures 12" X 2.5" X 3/4"and made from quality zebrawood. 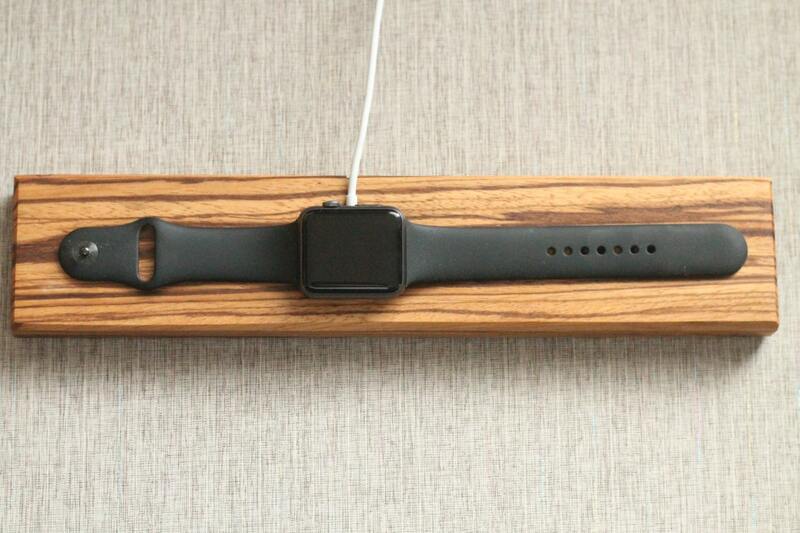 The slot for the cord is designed so that the cord stays put while you pull away your watch. This piece is designed and made to fit a 38mm or a 42mm watch- both shown in the pictures. The Rose Gold is the 38mm, the black is the 42mm. Watches and cords shown as decoration only, not included.